You are here: Home / Miscellany / 1000 Cranes? What Was I Thinking? 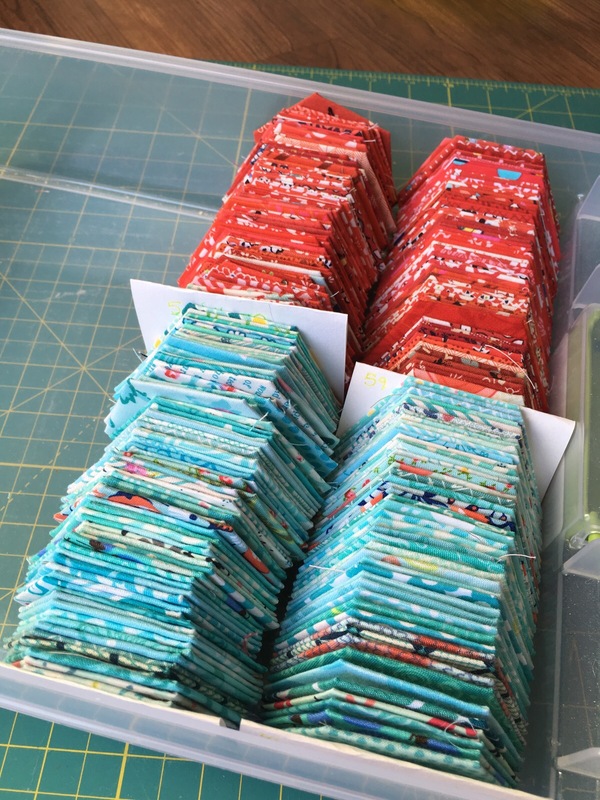 When I started my 1000 crane quilt project I was well aware that the undertaking was insane and that it was going to be a lot of work. Then I breezed through my first 100 in about 3 months and I felt like I was going to be ok and I got a false sense of security. Fast forward 10 months and I have only have 148. So that means that in over 3x the amount of time I only finished half the amount of cranes I did in those first 3 months. And to make it worse, I went to here and checked how many days I have until my target completion day and found there’s less than 750. Now, this wouldn’t be so bad but I still need to finish 852 cranes PLUS join them all. 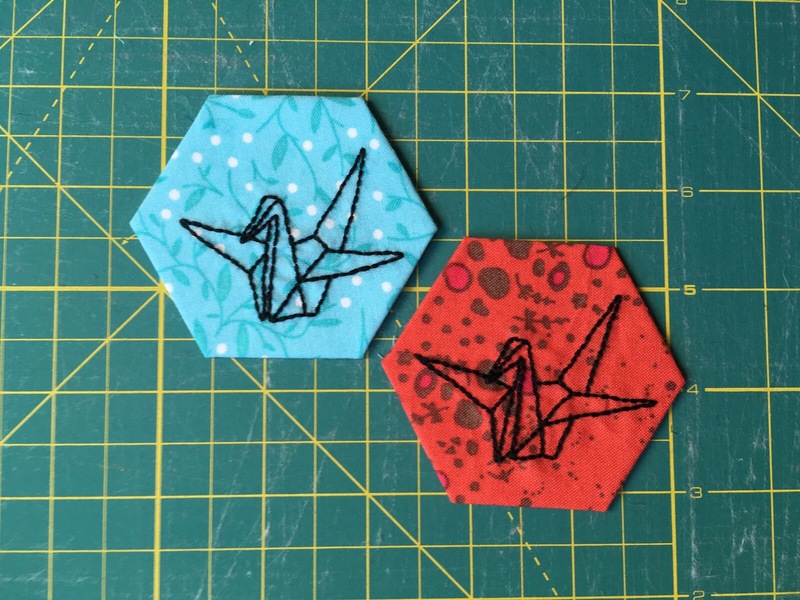 So I really should probably be finishing two cranes a day if I want to have any chance at all in finishing. I keep a pouch full of the cranes in my purse and if you follow me on Instagram you’ll see that I’m constantly stitching them when I’m out with the girls during the day. But I’m really only getting 5-10 minutes here and there of actual stitching time. I’m still going to keep plodding away at these, but I’ve lost a lot of the spark I had for this project. I feel like if this were my only project finishing it wouldn’t be a problem. But as vice president of Project Starter’s Anonymous, I’m just not wired that way. So tell me, do you have any advice for sticking with a very, very long term project without becoming discouraged? When I have a crazy long project, especially cross stitch, I will take a picture of it at the beginning of the day, try to watch a movie or something while I work on it, then at the end of the day, or when I am done working on it, I take another picture and then compare them. I then admire the work that I have accomplished that day. That way I still get the adrenaline rush of working on something cool, and I am ready to come back for more the next day. But, if I don’t do that, then sometimes when I put it away for the day I don’t want to come back and work on it again. So basically I try to find ways to make me want to come back and do more. I like that idea. I was doing that for a bit with a big cross stitch project and it helped a lot when it didn’t really feel like much was being done. But then actually seeing the photo made me realize progress was being made! It’s so hard when my crafting mojo is MIA. I WANT to get stuff done and just am not feeling like working on anything… Thanks for the kind words! Usually my projects evolve as I progress. Maybe it’s time for an evolution. I agree. I’ve been stuck on this one a bit and it’s unrealistic of me to think it’s not going to need to evolve in the large timeframe I have! Wish I had something inspiring to tell you. Is there a way that you can track each day’s or week’s progress? How important to you is it to finish by your original deadline? Could you have a party and get some stitching friends to help give you a boost in your momentum? Hope you can find a way to keep it fun! Thanks for the ideas. I do think the deadline is the least important part of all this and I’m going to let that one go. I try to be analytical about things? How long does it take you to stitch one crane? If you need to get 2 cranes done per day, do you have time in your schedule to do them? 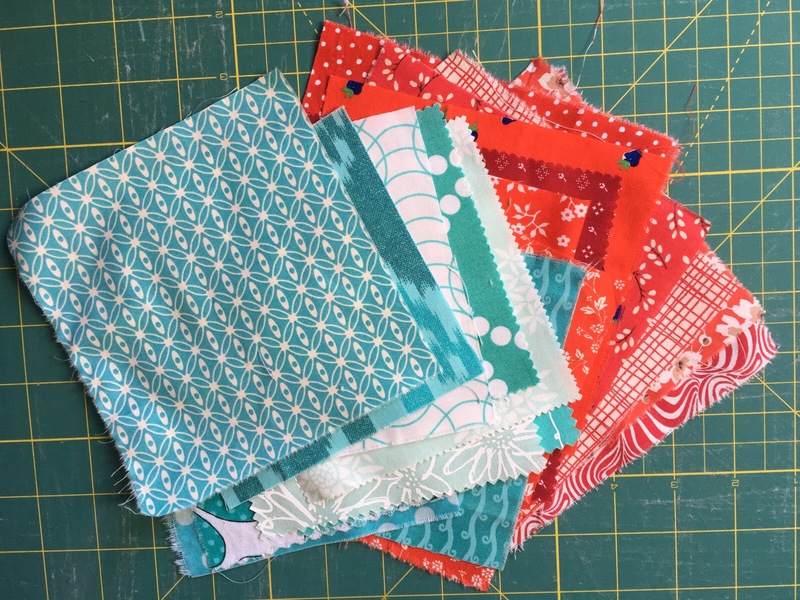 Are you “wasting” time somewhere else that you could be using on your 1,000 crane quilt? (I have a tendency to get caught up playing games on my phone just “wasting” time.) Do you work well with a reward system? Say if you get 2 cranes done each day for a month you treat yourself to something you normally wouldn’t? May go to method of dealing with an issue like this is to try to put it completely out of my mind,and I do know how hard this is especially when you have a deadline. I am trying to let go a bit of the deadline and just let myself enjoy the whole project. It was a pretty arbitrary date, it’s not the end of the world if it isn’t done by then. Re-frame the project using “Habits of Mind” framework: This project started out with enthusiasm, it has shifted into persistence, focus on quality and accuracy and when it is done present it to folks to stimulate awe and wonder!